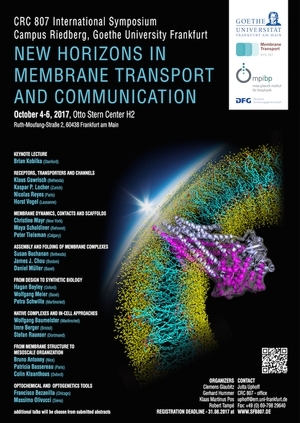 The symposium will focus on emerging topics in the field of membrane biology and the structure, function and dynamics of membrane-associated macromolecular complexes. This conference is intended to bring together world-leading scientiests of diverse backgrounds (biochemistry, biophysics, chemistry, cell and structural biology, theory, medicine) with the local and national membrane-transport research community. In addition, some short talks will be selected from the poster abstracts and poster prices will be announced.